Hazrat Saiyadina Shamsuddin Turk Panipati (رحمتہ اللہ علیہ) was a resident of Turkistan who had come to the Holy court of Hazrat Fariduddin Ganj-e-Shakar (رحمتہ اللہ علیہ) for being his diciple. However Hazrat Fariduddin Ganj-e-Shakar (رحمتہ اللہ علیہ) sent him to the court of Hazrat Sheikh Alauddin Ali Ahmed Sabir (رحمتہ اللہ علیہ). 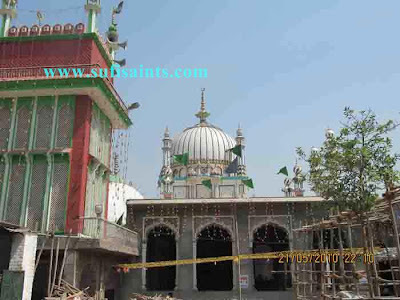 Hazrat Khawaja Shamsuddin Turk Panipati came to Kalyar Shareef and became the disciple of Hazrat Sheikh Alauddin Ali Ahmed Sabir (رحمتہ اللہ علیہ) who then appointed him as his spiritual successor and thus he become the only successor to Sabir-e-Paak. His urs is celebrated on 9th Jamadil Aakhir.